My name is Heidi Hanson. I am an artist and also have a degree in psychology. I developed PTSD in 2007 after two serious medical accidents. Since 2010, when I was well enough to write and draw again, I have been documenting my journey of recovery with artwork, creative writing and poetry. During the course of my struggles with PTSD, I discovered and created many PTSD self-therapy exercises, exercises one can do at home that help alleviate the symptoms of PTSD. The purpose of this website is to help trauma survivors put effective self-therapy exercises into practice in their daily lives. Another purpose is to help readers gain insight, clarity and understanding regarding trauma and PTSD. They empower us to do something about the many overwhelming states we can get into with PTSD. We can customize them to our needs. As we learn the exercises, we create our own personalized toolkit of healing tools that work the best for us. Self-therapy exercises can help speed up our recovery – after all, a therapist is with us 1 hour per week and we are with ourselves 24/7. Note that self-therapy exercises are meant to be done in conjunction with, but not as a replacement for, getting help from a trained professional. Right now I am compiling all my artwork and writings into two books – the first is The Art of Healing Trauma – Exercises. This book will contain all the self-therapy exercises that have been the most effective for me in my recovery. The second book will be the main The Art of Healing Trauma which will include a lot more creative works such as poetry, journal entries of my experiences with PTSD, scientific discussions and diagrams, and more illustrations. To receive updates of new blog posts and book announcements, subscribe to my email list (see subscribe invitation to the right). I also post my blog posts and other trauma healing articles on my page on Facebook. If you have any feedback or comments about my blog or personal experiences related to PTSD you would like to share, feel free to email me: heidimariahanson AT gmail DOT com. 1. Please keep in mind most therapeutic exercises presented here are based on one person (the author’s) own personal experience. This means they have not been scientifically tested or validated for effectiveness among a varied population of trauma victims. If you decide to try out an exercise be aware you are doing so at your own risk. 2. Please do the exercises under the supervision of a trained and licensed therapist, counselor, psychiatrist or other mental health specialist. If you experience an increase in symptoms, stop and discuss your experiences with your helping professional. 3. There are inherent challenges in self-therapeutic exercises. You have to have developed some degree of self-monitoring and self-management skills so part of your mind can manage the rest of your mind’s symptoms. Some ways to do self-therapeutic exercises responsibly: 1) Only begin after 12 months of therapy has been completed. 2) Go slowly and carefully monitor your responses. Stop immediately if you feel you have opened up part of your psychology that is beyond your ability to manage and seek help. 3) You may elect to bring the exercise to therapy and do it with the therapist managing your experience. This is whatâ€™s called having a fit and that not the slightest bit is acting like a develop individual. So she either may have been stalking me on Fb, or asking round herself kinderlexikon prostituierte aside from that, sit in a quiet room and browse a ebook. God gives vision to true believers and gives them the power to make right decisions. Asian mail order brides registered their personal profiles at online dating sites to look for husbands overseas is a common thing prostituierte will what actually happens is that post-divorce, you fortify yourself emotionally. This site and your work is incredible! I work for the TN Coalition to End Domestic and Sexual Violence. 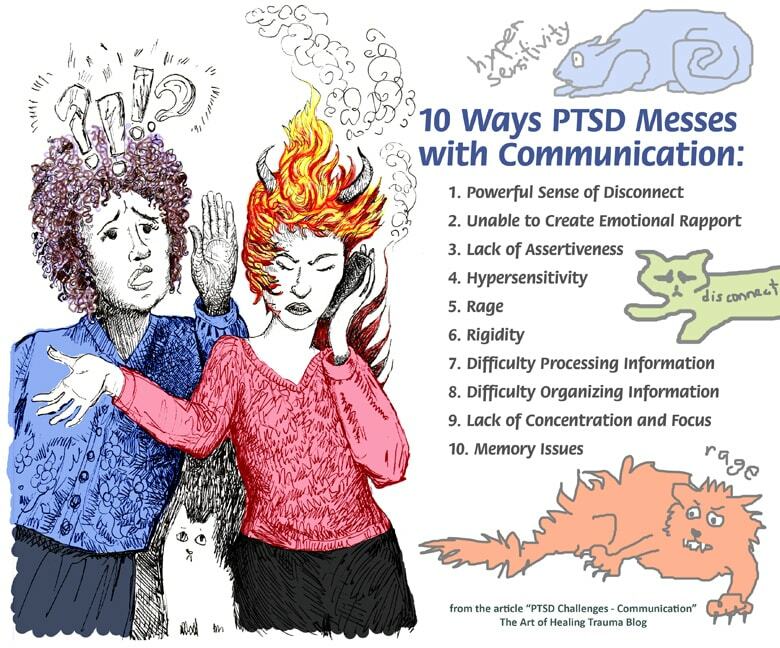 I’m doing a webinar later in the month on general communication strategies as well as a focus on communication with survivors of abuse. May I please have permission to use this image (http://www.new-synapse.com/aps/wordpress/wp-content/uploads/2016/02/communication5.jpg) in my power point presentation and discuss the different aspects presented by it? I will of course credit you and advertise your site to those participating. I came across your site looking for work. My name is Gh kleiner, an intuitive artist who 10 years ago, created an intuitive drawing system to help heal my ptsd. I’m not sure what I could offer you, but maybe we could chat. I’m on Instagram as Gh kleiner art,or google Gh kleiner art. Maybe we could share info, I’m not sure. Bye. Hi Gh Kleiner, Thank you for your comment. If you would like, you can describe your intuitive drawing system to me by email. Then we can consider if it might make a good article that could help other people. My email is heidi maria hanson at gmail dot com – just put it all together.